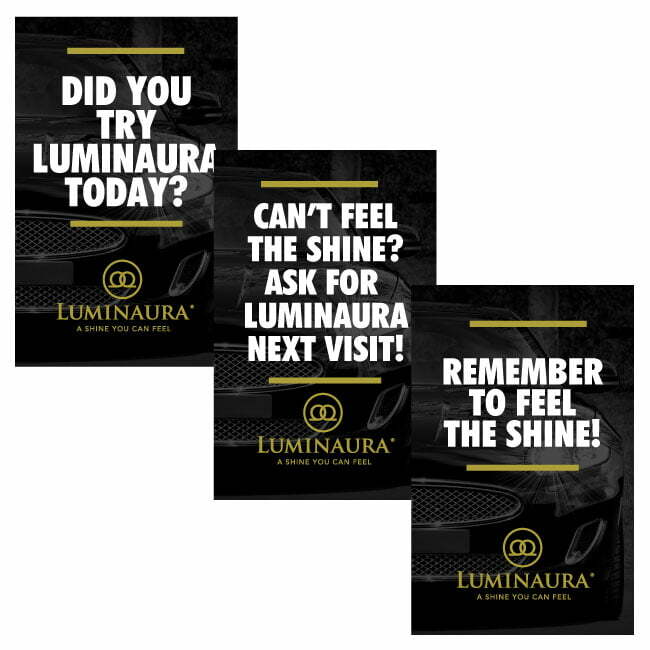 If you decide to add Q Luminaura to your car wash using the Luminaura brand name and logo (rather than creating a private label), we have many marketing assets to get you up and running quickly. If you decide to private label Q Luminaura, you can still use many of these assets and simply change out the name, logo and color. 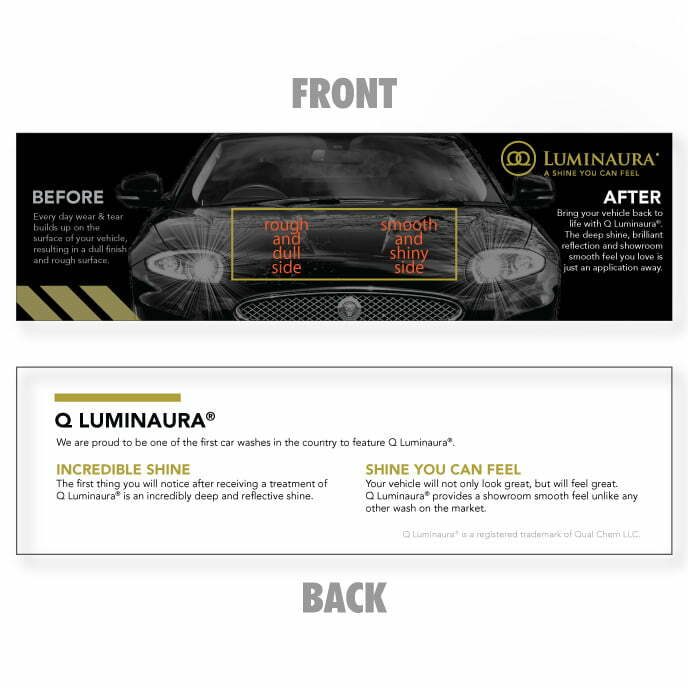 Start promoting Q Luminaura before customers drive onto the lot using social media. We have created a series of images you can easily upload to let your followers know about your new process. Need one customized? No problem! Let customers know you have a new premium car wash option for them to try with on-site signage. Welcome customers and introduce them to Q Luminaura with windmaster signs. 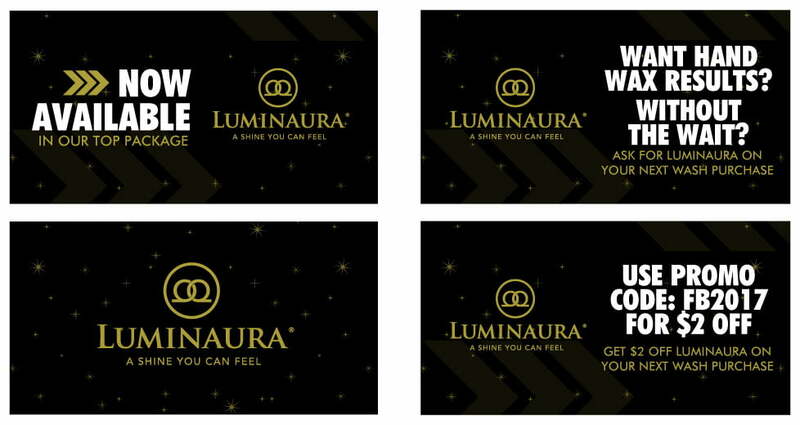 Promote Q Luminaura at your paystations with gate banners! Turn empty drums into advertising pieces with Q Luminaura drum covers. 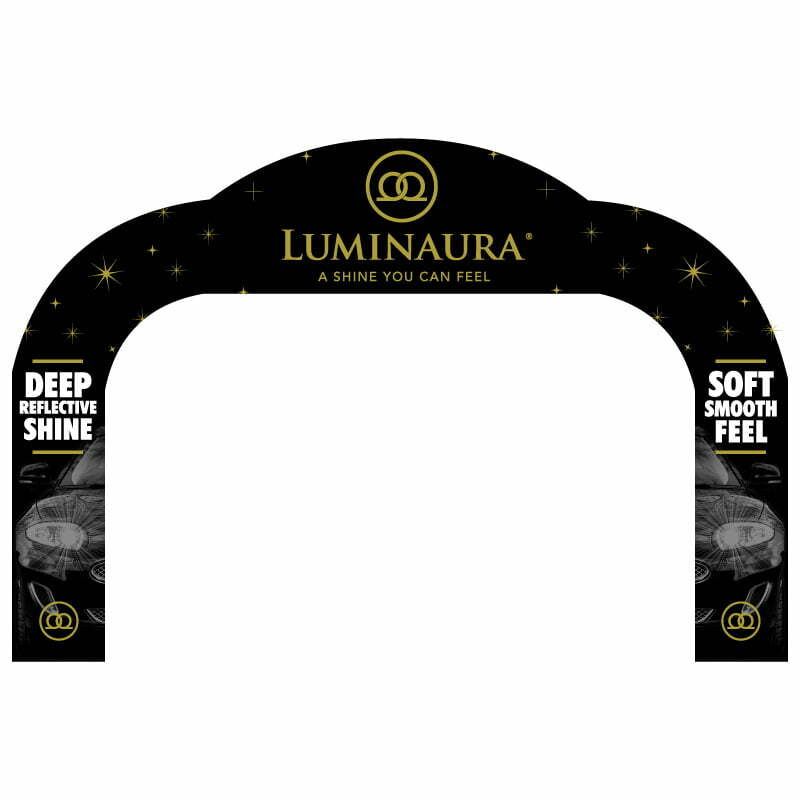 Bring your tunnel to life with a custom Q Luminaura arch. 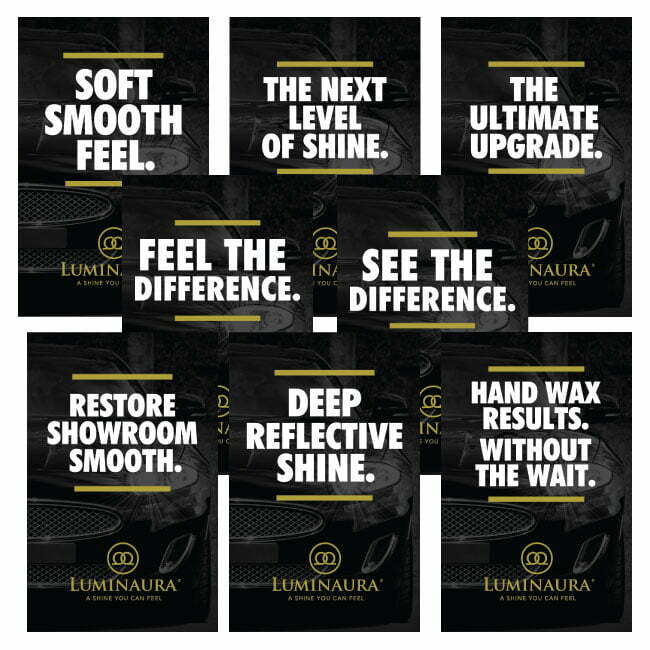 Remind customers to feel the Q Luminaura difference or to encourage a trial next visit with exit signs. Your customers have a minute or two of free time while they get their car washed. 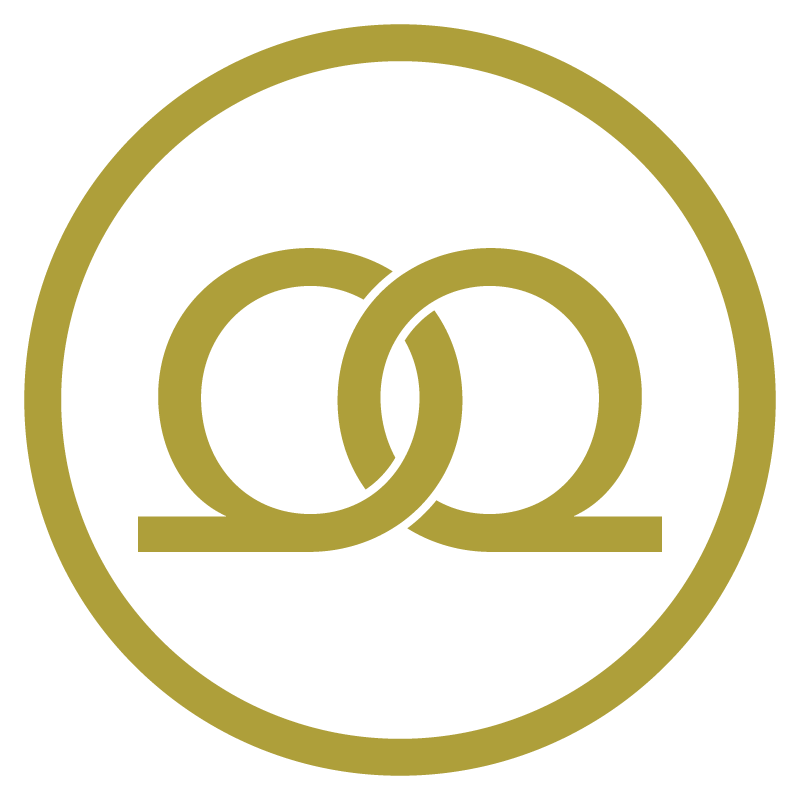 Use this time to educate them on the advantages of Q Luminaura with print handouts. 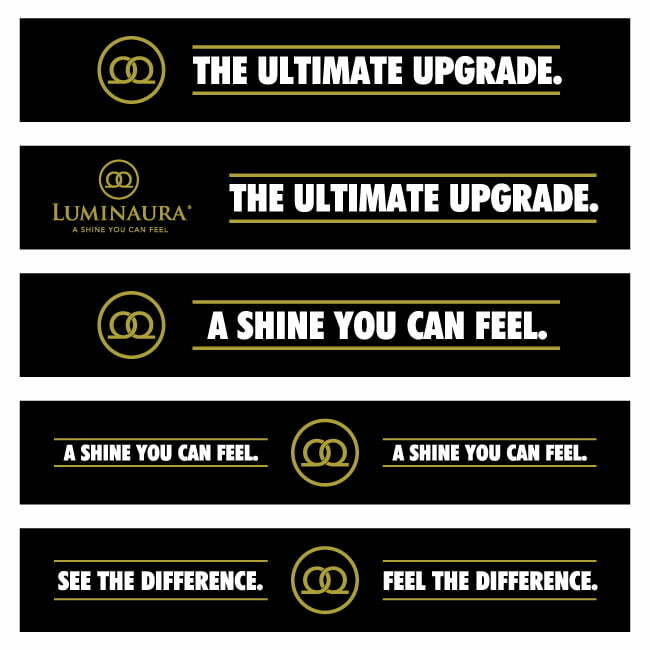 Let customers know they can be one of the first to try Q Luminaura. 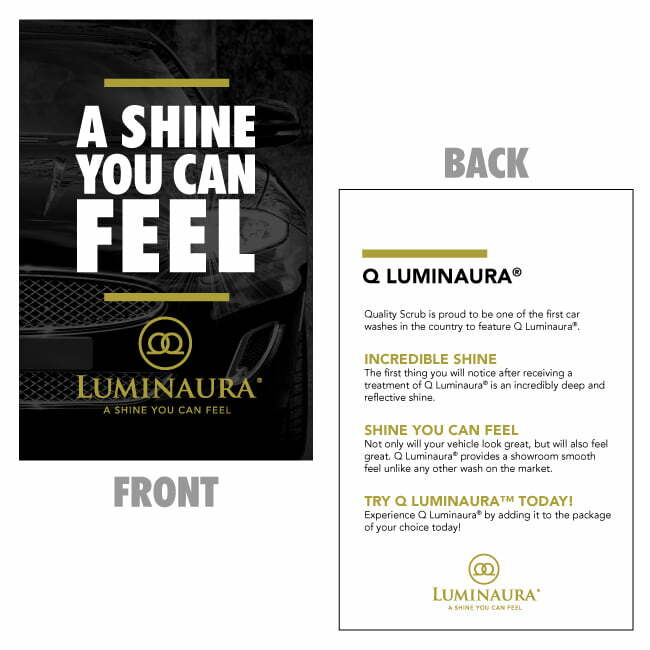 These handouts can be customized to let customers know which packages feature Q Luminaura. Let customers feel the difference Q Luminaura will make with a simulated handout featuring rough and smooth sides.